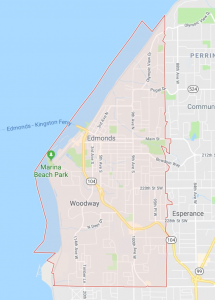 Say you’re meandering downtown Edmonds (why not? After all, it’s adorable) and you want to grab a latte but really would rather pass on Starbucks. Walnut Street Coffee is the answer. It comes recommended to me by a local friend, and is centrally located in this picture perfect seaside town. In these cold winter months it provides a cozy hangout, but come summer- the space opens up to the cool breezes by lifting the garage doors out front. The owners of Walnut Street Coffee support local artists through featuring their work on the back wall- helping expose the artists to new audiences and allowing the viewers a glimpse of the community built in the PNW. It is a lovely spot to catch up with friends, like I did, or buckle down with a cuppa’ joe and get some work done. They serve some bigger meal type options such a burrito, but mostly feature pastries and snacks. It’s a lively spot, locals and visitors flow in and out, most staying to chat with company for a bit and take a pause from their daily rush. 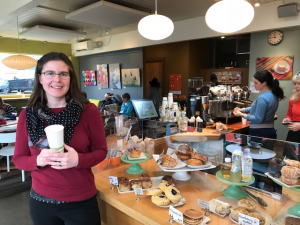 Good coffee, cheery baristas, local artwork, and a spot to gather with friends or people watch- Walnut Street Coffee has it all. If you are interested in learning more about these neighborhoods, or would like to see the most up to date real estate data in this area please feel free to reach out to me.